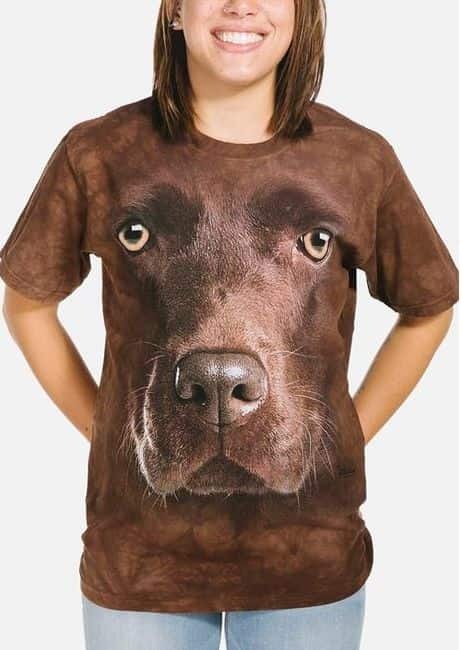 Hey Malamute lovers, this Big Face dog t-shirt from The Mountain® is for you!. Keep your lovable mal close to your heart by wearing this unisex Alaskan Malamute Face tee on your chest. Our dog t-shirts have a classic cut making them suitable for women and men. Did you know? An early version of the Malamute is said to have accompanied Siberian nomads across the Bering straits into what is now known as Alaska. Those nomads were called Mahlemuts, which is where the breed gets its name.